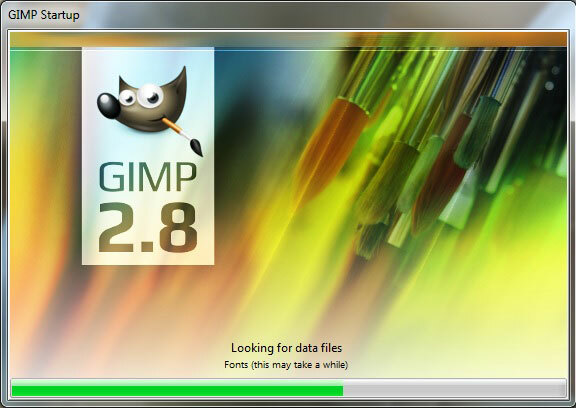 Starting GIMP for the first time takes some time as the tool sets itself up. 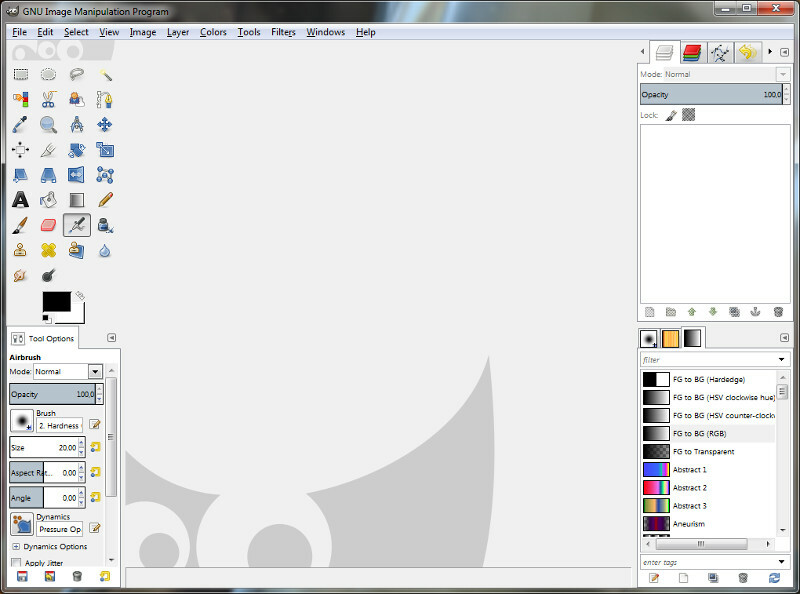 The default setup results in a set of windows, each displaying some specific tools. And then we have the drawing window. And some features like layers and brushes are inside yet another window. If this looks a bit confusing you are not alone. Luckily we can easily switch the window layout to a more familiar one by selecting Windows>Single-Window Mode. After this change all the windows are located inside one main window. Alright, I think we are ready for some serious image processing!